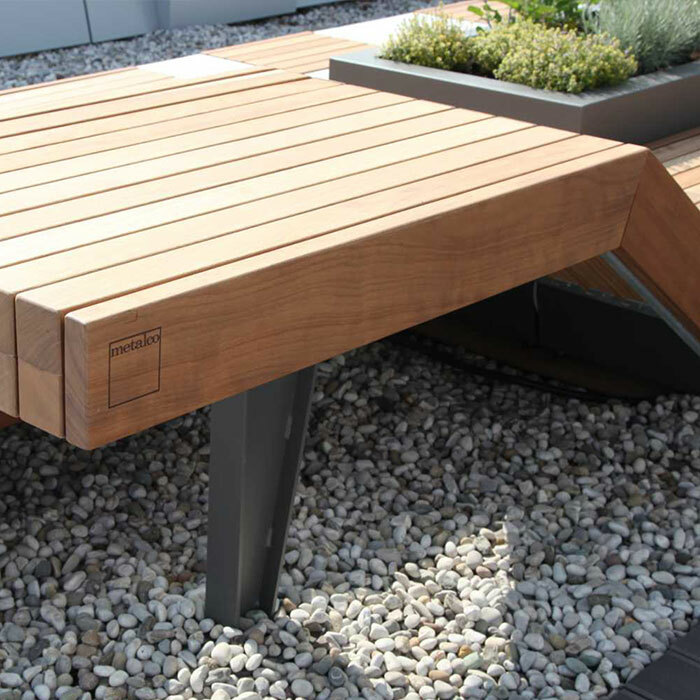 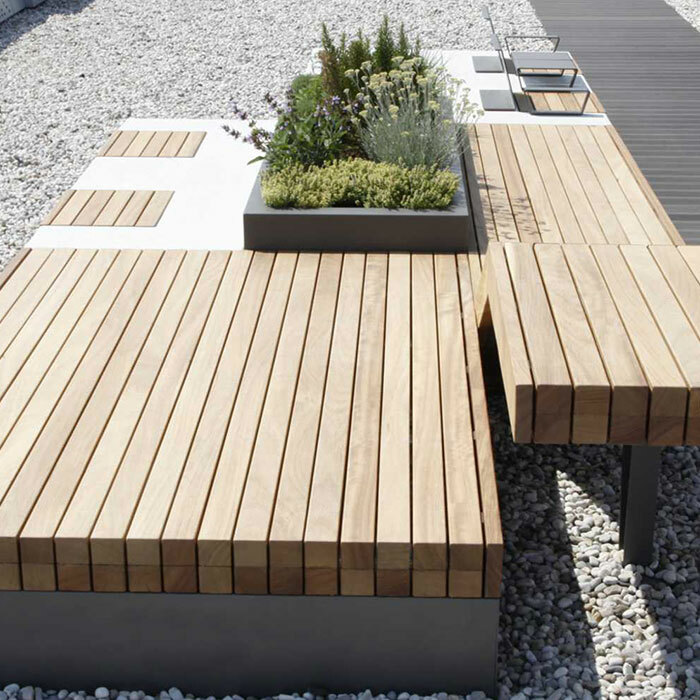 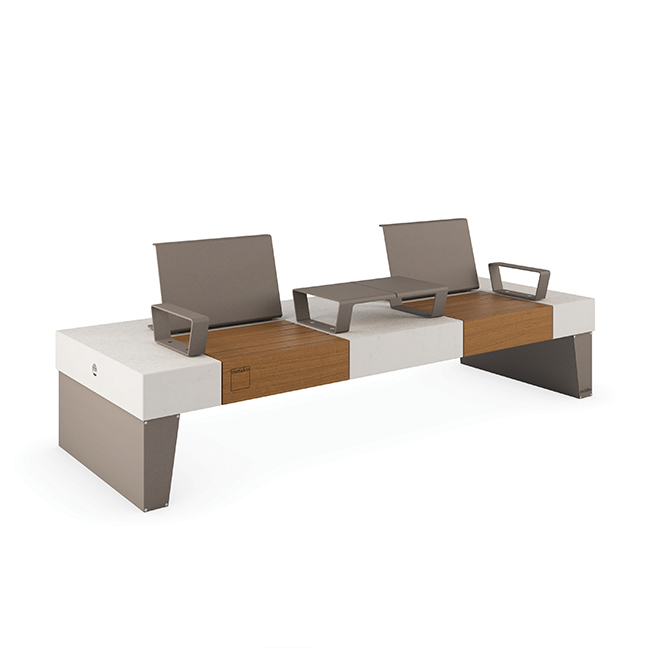 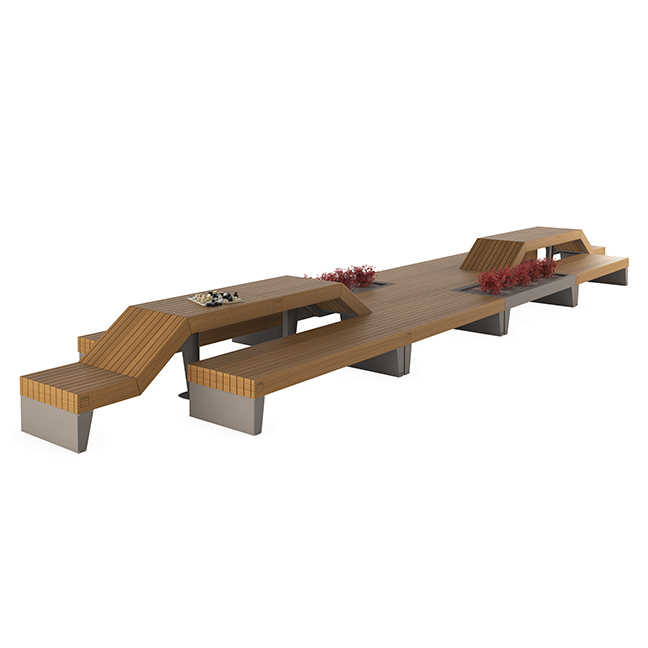 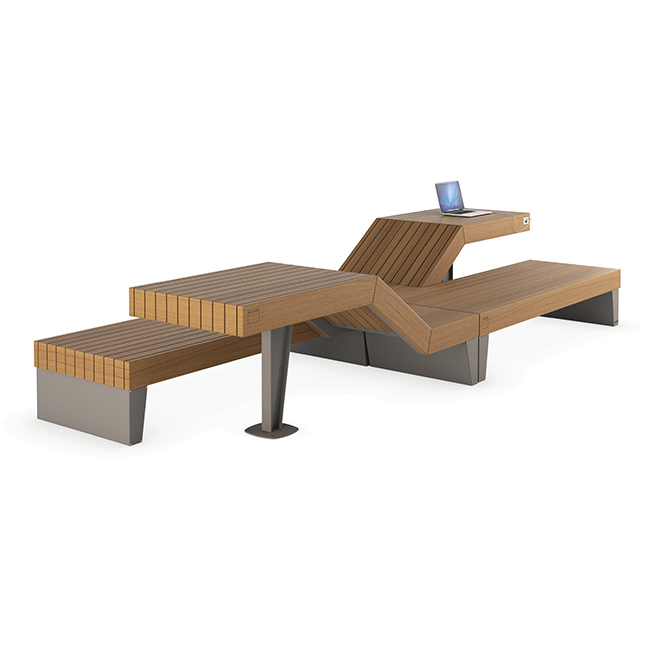 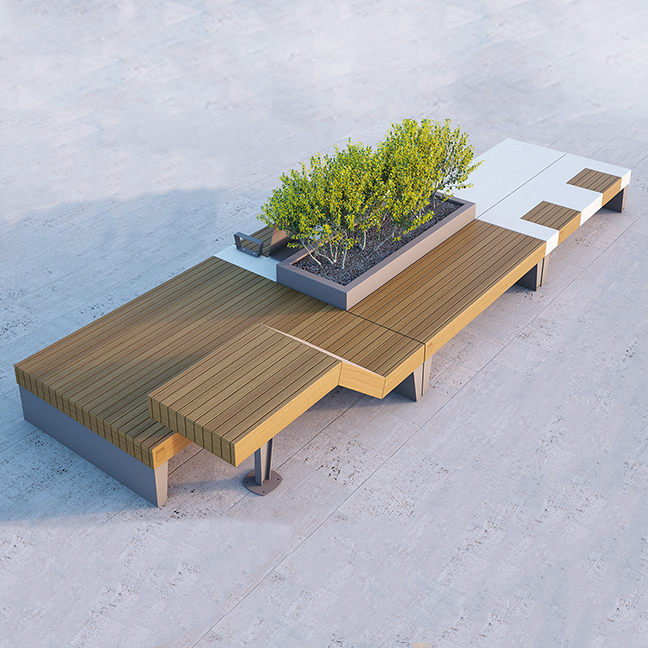 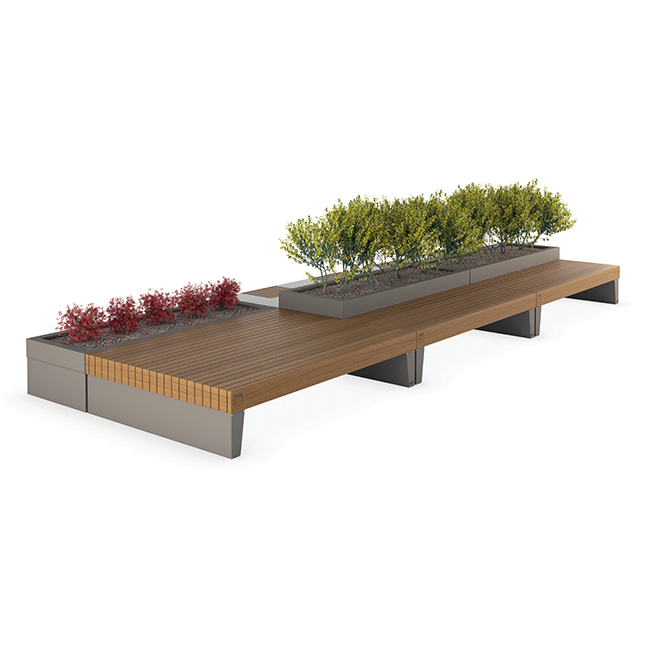 The Isolaurbana, also referred to as the Urban Island, comprises of seating, table and planter configurations. 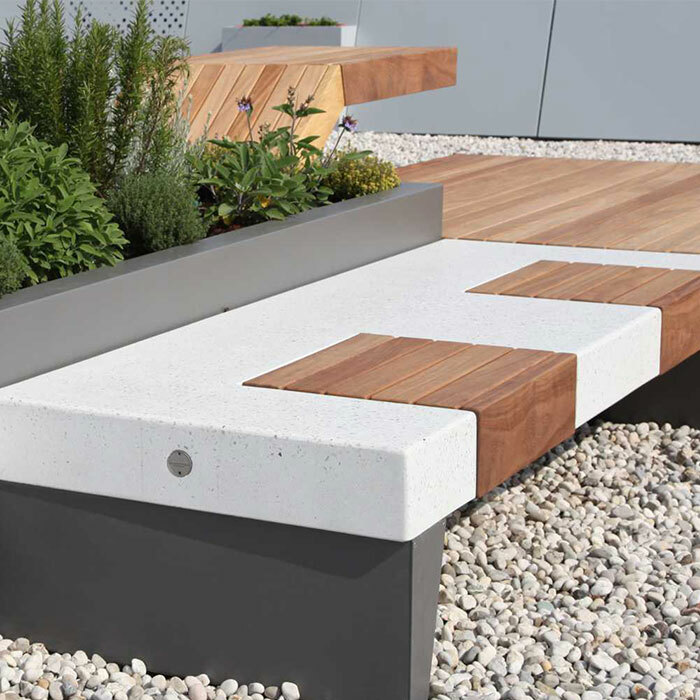 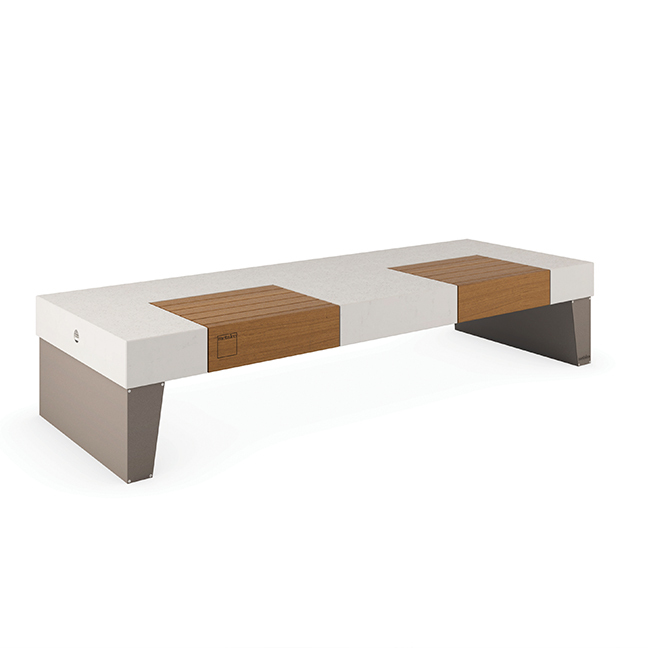 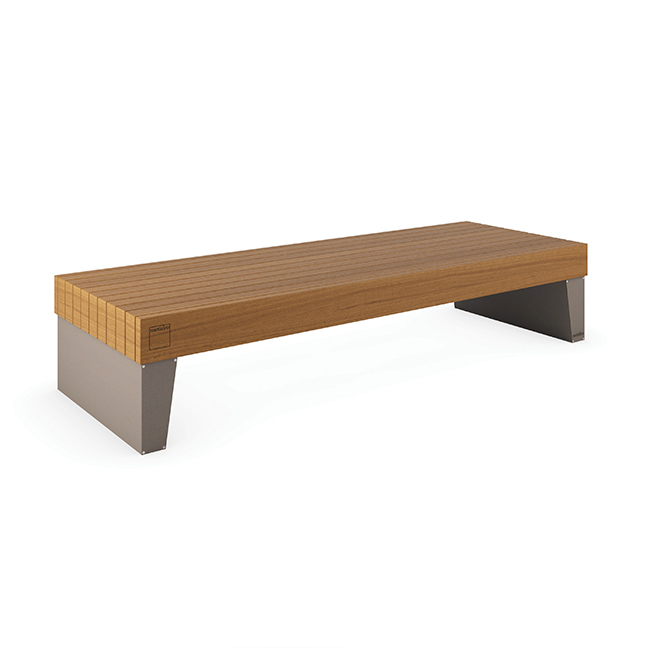 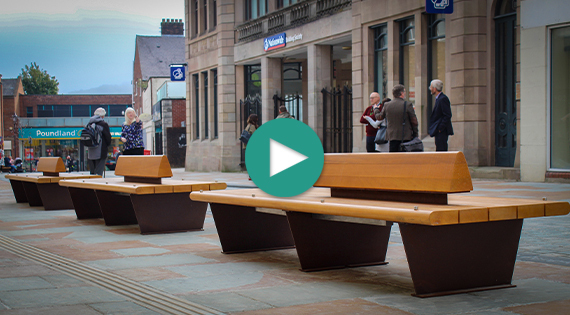 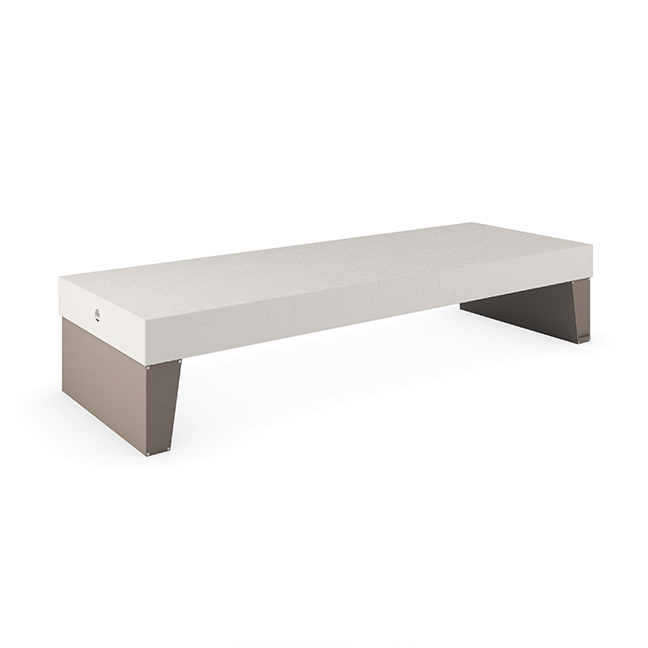 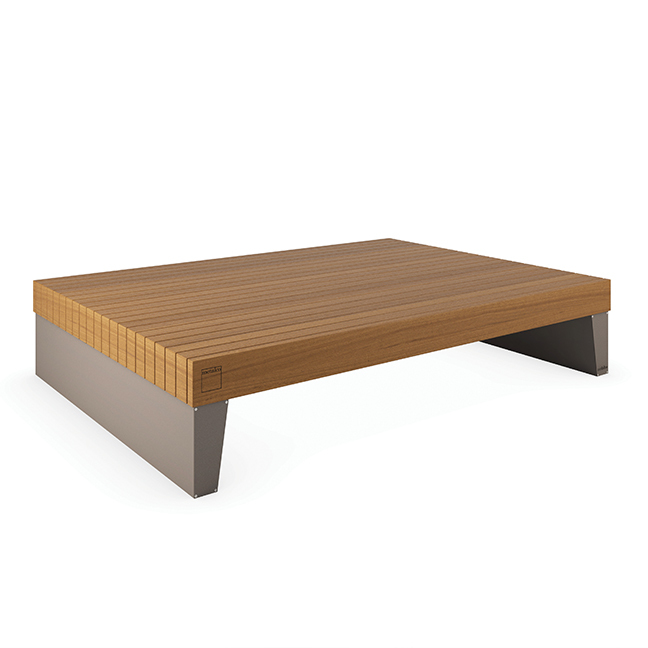 The Benches are a basic 2100 x 750mm construction of High Performance Concrete (HPC) modules or timber modules with powder coated steel supports. 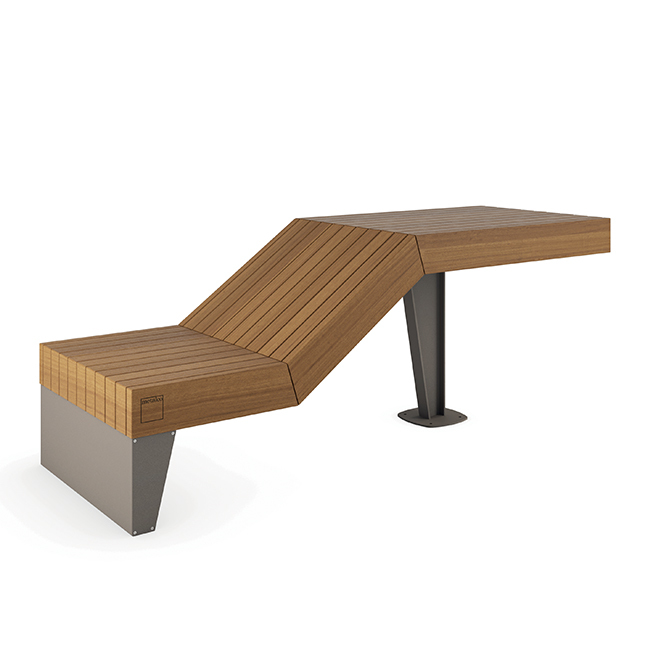 There is also a complementary timber chaise-lounge with steel supports. 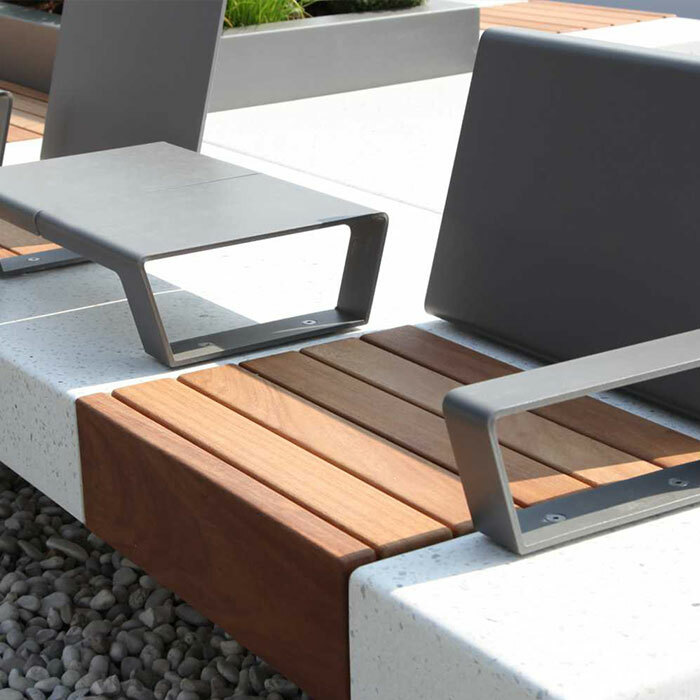 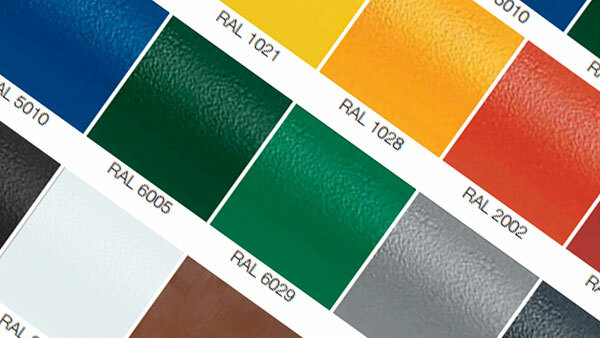 Powder coated steel seat backs and armrests are also available. 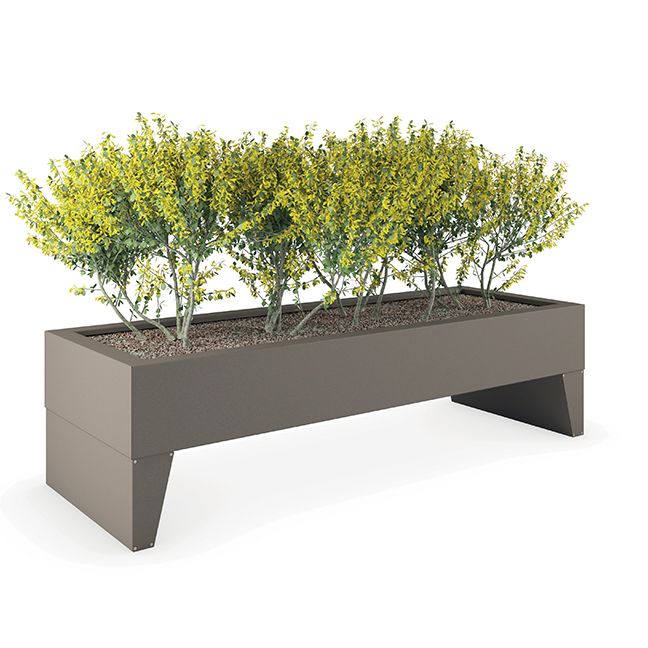 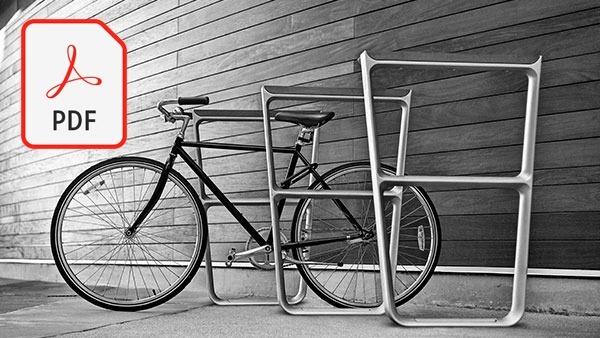 The planters are powder coated steel and are available in various heights. 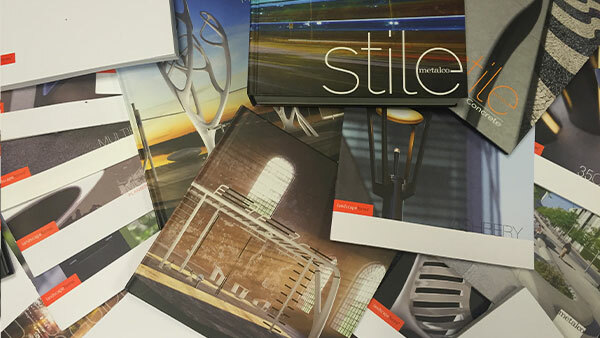 Integrated LED lighting is available upon request and all variations are pre-drilled for ground anchors.